This post is part of a virtual book tour organized by Goddess Fish Promotions. V.C. Buckley will be awarding a $10 Amazon or Barnes and Noble GC to a randomly drawn winner via rafflecopter during the tour. Click on the tour banner to see the other stops on the tour. 1.) Sang in an amateur singing contest to win a sack of rice. - I must have been 7 or 8 years old…or maybe even 12. I did it more times than I would admit to because I thought it was fun, and for someone growing up in an Asian household, winning a sack of rice is awesome! 2.) Grew up bathing with a bar of detergent because no one told her the difference between that and a bath soap.- My mom kept a bar of detergent next to the bath soap for whatever reason, and when it got wet, the sides became gooey and slimy before it dried up again. But I found it fascinating and scooped out the molten gooey parts and used that to soap and sometimes to shampoo my hair in the shower. I smelled like fresh laundry afterwards. 3.) Can be bribed with sweets or kimchi. - I can never be president…because I might give the secret codes to the nuclear weapons in exchange for cookies and kimchi. 4.) Member of the National team for Kendo. - I love weapons, especially swords, spears and daggers. And Kendo is one outlet that allows me to play and hit willing participants with it. 5.) Loves big and scary looking dogs. - Someday, I want to get an angry looking Rottweiler and name him Tinkerbelle. SAKURA SHINTANI is the Dragon Clan heir-Japan's most notorious crime dynasty. But can she keep this fact a secret from the prying brats of Oniyuri Academy? 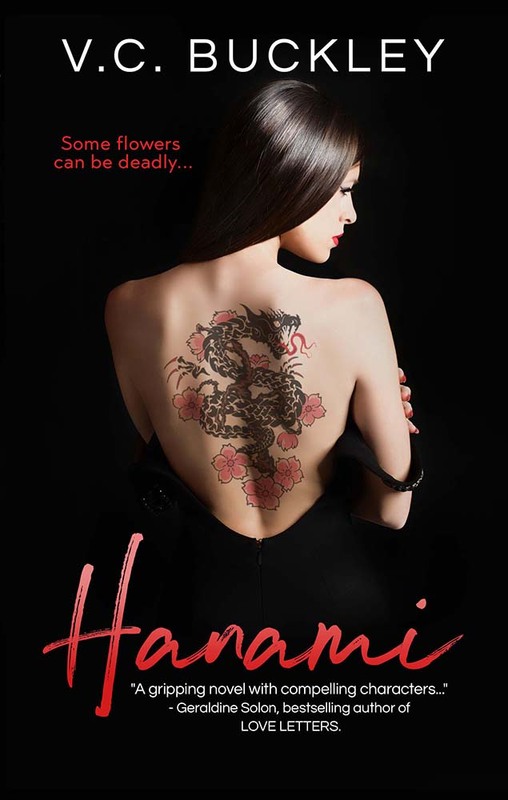 She tries to stay out of their radar while mastering her demons and keeping her murderous temper under control, but having the face of an angel only attracts everyone's attention... including the arrogant heir to Asia's most powerful tycoon, KENJIN KIYOHARA. He senses the danger, but Sakura is too interesting to be left alone. He snatched her backpack and swung it around his shoulder. “Hey!” she protested, lunging for it. Jin stepped aside, evading her grasp. He smiled to himself, taking long strides toward his car. He could hear her feet going after him. Mr. Fujimaru was already by the car, holding the door open. His guards stood waiting like goons by the sidewalk. Her words cut right through him. She lunged for her bag again, but Jin threw it into the farthest corner of the back seat. He looked at her tilting his head down, their height difference apparent. He thought about what she said. She doesn’t know me? His forehead creased. Was he really that invisible to her? He felt like someone had just slapped him across the face. He took one long look at her before ducking into his car. He was confused. Any girl would jump at the chance to be with him—she should have been honored and groveling at his feet for rescuing her! What was wrong with her? He felt her slide into the seat next to him, her knees slightly touching the side of his thigh. But before he could think, she reached across him, leaning her upper body against his lap to grab her bag. Jin froze. She straightened back up, clutching her bag to her chest. Her eyes met his with a piercing glare, and a wave of heat suddenly swept over him. Jin looked away, landing his gaze on her reflection on the car door window. Even with an angry face, she still looked so beautiful. Jin smiled, tilting his head to the side to get a better look. I should stop this, he told himself, but it was too late. She was too interesting to be left alone. V.C. Buckley was born in an isolated government facility and shipped off to an Island in Southeast Asia where she grew up braving tropical thunderstorms and warding off evil villains. At sixteen she was discovered by an agent and jetted off all over the world. Her stories come from gritty moments of her childhood to the glitz of her travels. She now lives in Manila with her husband, two kids and an herb garden that has hijacked her balcony. A fun list of five.